There are many ways to reboot your internal system. The Master Cleanse Diet has shown to be one of the more efficient ways of doing so. 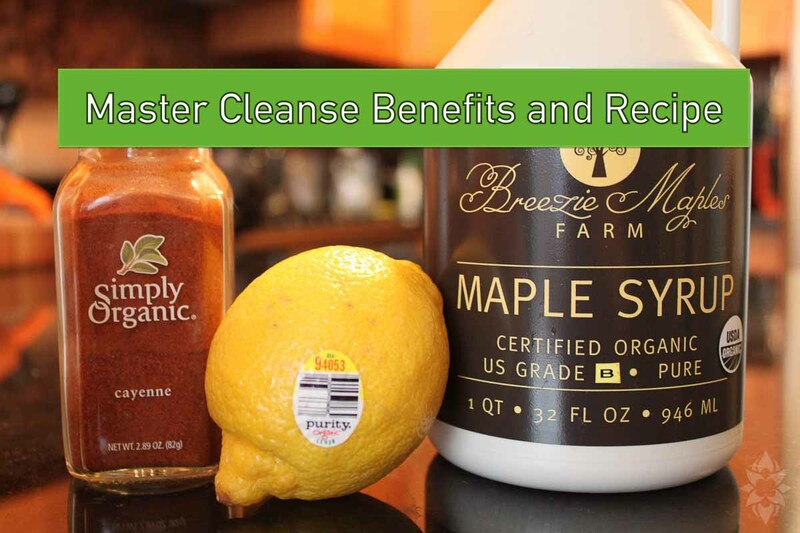 In this article we are going to discuss what the Master Cleanse is all about and why it is beneficial. Actually, words really, and there are a few to consider before launching any effort Master Cleanse Diet. Words like; FEW CALORIES, FEW NUTRIENTS, 7 TO 30 DAYS OF TORTURE, NO EXERCISE, LOSS OF GAINS. If any of these words frighten you, put a tack in them for now and lets look at what the benefits are and then I will let you decide if its right for you. It is pretty simple. The Master Cleanse Diet is a modified Juice fast. You are consuming no food during the fast. Food is substituted with tea and a lemonade drink consisting of lemons, maple syrup and cayenne pepper. Lets face it, there is a complete lack of nutrients in a program like this. Can it be beneficial to you in the short term diet? You betcha. Will it be harmful to you in a long term diet? Absolutely. Lets face it, The master cleanse is a total crash diet. But not all crash diets are the same. There are a lot of studies out now that show that diets like the Master Cleanse are more effective in weight loss than gradual weight loss. But being safe is something to really consider and even so if you revert to your old habits it was for nothing. So be cognizant of the risks involved and be mindful of your body and safety. If you have the weight to lose this is going to be a great solution for you. If you are simply looking to cut for a bodybuilding competition, say goodbye to those wonderful gains as you will likely lose them. Try intermittent fasting if you are in the latter stage of this spectrum. Laxitave teas and salt water flushes are a big part of this diet. The Master Cleanse emphasizes the elimination of toxins from the body. Starting the morning off with a salt water flush can be key to that. Mindful again this is a pretty extreme intestinal cleanse. Don’t do this outside proximity to a bathroom and don’t attempt this if you have certain medical conditions. The sodium content alone is going to put your kidneys into overdrive, hence the not wanting to do this diet over a long period. Add 2 teaspoons of non-iodized sea salt to a cup of lukewarm water and drink on an empty stomach. This should result in one or two trips to the bathroom. Drink 6 or more glasses of the lemonade mix throughout the day. I stress using organic sources as adding toxins to your system can be counterproductive. Optional end each day with an herbal laxative tea. With words like cleanse, laxative, no food, and trips to bathroom I imagine you have already viewed this as not the easiest solution to weight loss. However in some cases, especially extreme ones where the individual has 50-1oolbs+ to lose this can offer a solution to a lot of preceding health problems and difficulties using standard methods of exercise and nutrition. Use your best judgement, and decide if this is right for you. I hope you found this article on Master Cleanse Benefits and Recipe helpful.